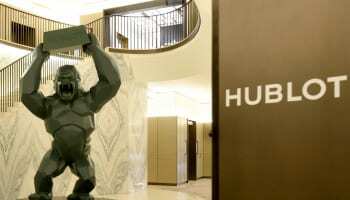 France may have enjoyed the open top bus parade through Paris and an audience with president Macron, but Swiss watchmaker Hublot says it has also been a big winner at the FIFA World Cup in Russia. 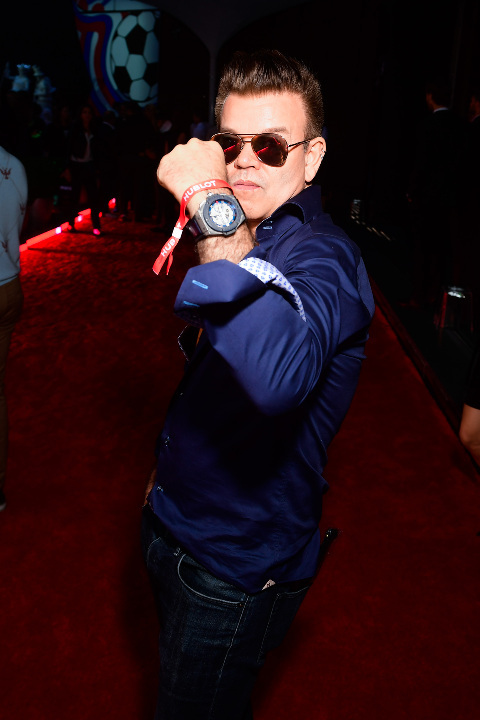 Hublot CEO Ricardo Guadalupe described the global tournament as an intense, passionate, inspiring and intense month of football, which went beyond anybody’s expectations. 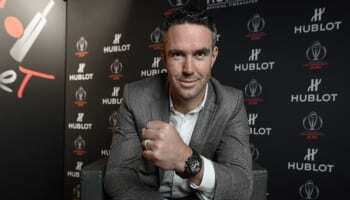 “For the final, Hublot has already won its World Cup after more than 20 minutes of visibility on television, or the equivalent of millions of advertising investment,” he added. 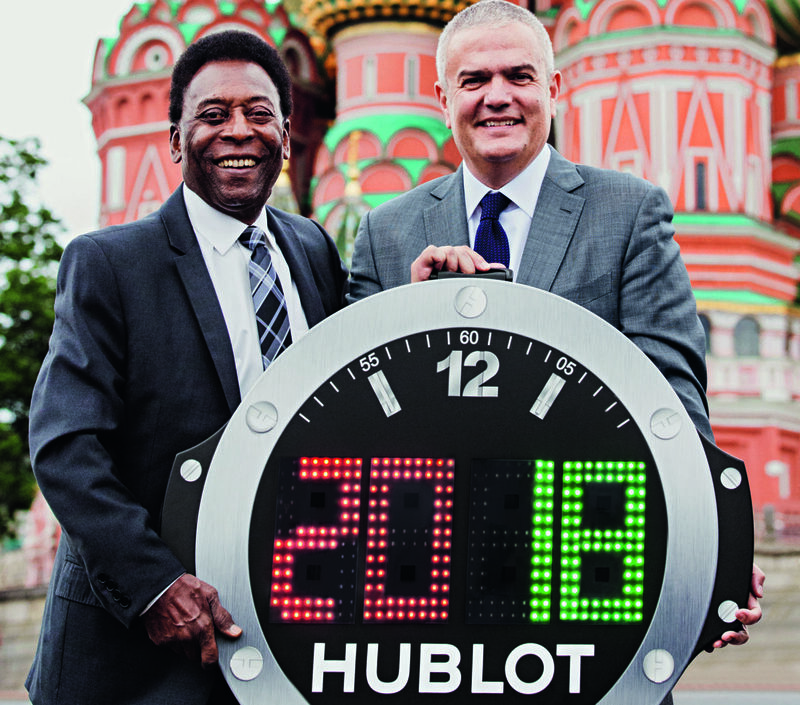 2018 was the third consecutive World Cup at which Hublot has been Official Timekeeper. 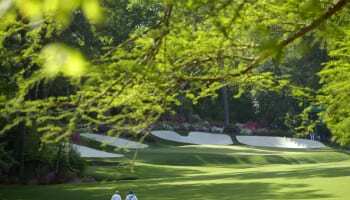 This year the program of activity was dominated by digital and technical initiatives including equipping every referee at the tournament with a Hublot smartwatch. The Big Bang Referee 2018 FIFA World Cup Russia watches recorded all 163 goals plus every booking and substitution, creating a digital archive of the entire tournament. 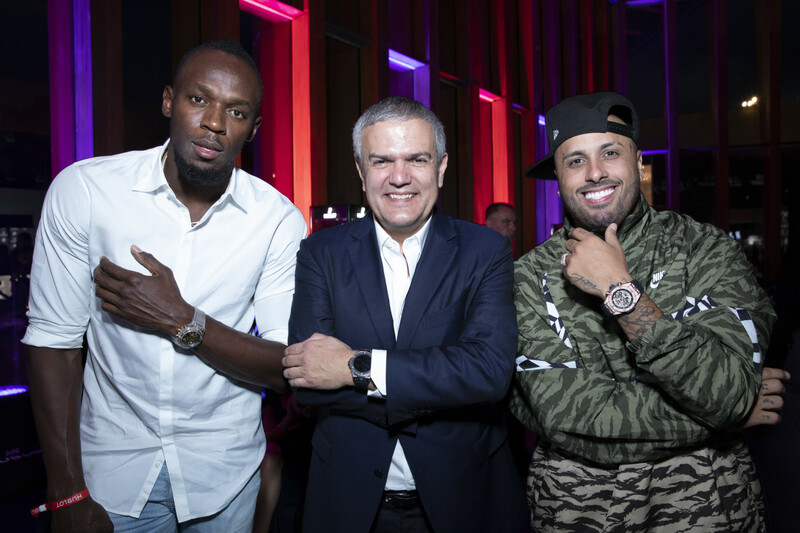 On the day of the final, Hublot brought together guests and friends from the world of football to a party dedicated to the World Cup. 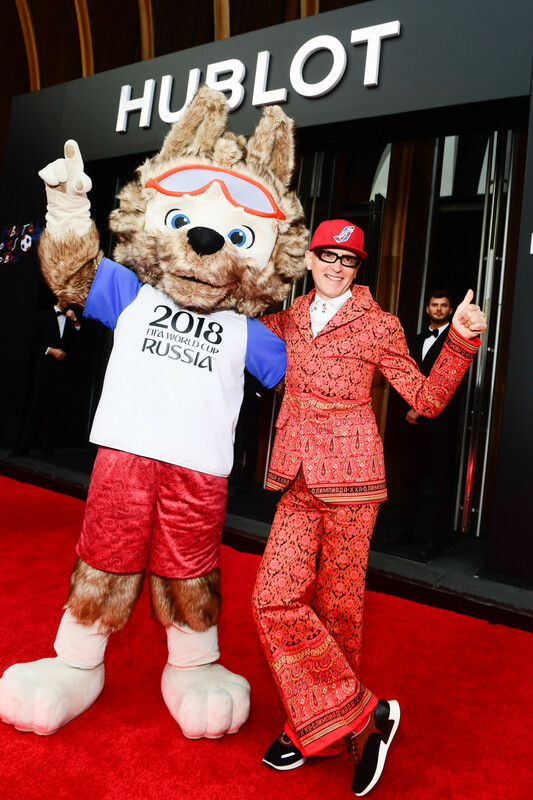 Partygoers included Stanislas Cherchesov, Didier Deschamps, Marcel Desailly, Björn Kuipers, Maradona, Roberto Martínez Montoliú, José Mourinho, Juan Carlos Osorio, Pelé, Hervé Renard, Jorge Sampaoli, Xherdan Shaqiri, Alexeï Guennadievitch Smertin, Gareth Southgate and David Trezeguet. The fourth referee on the touchline of each match was equipped with a signal board for substitutions and to display how many minutes of extra time would be played. Hublot estimates its branding on this and other elements around the ground added up to 20 minutes of screen time at every game. 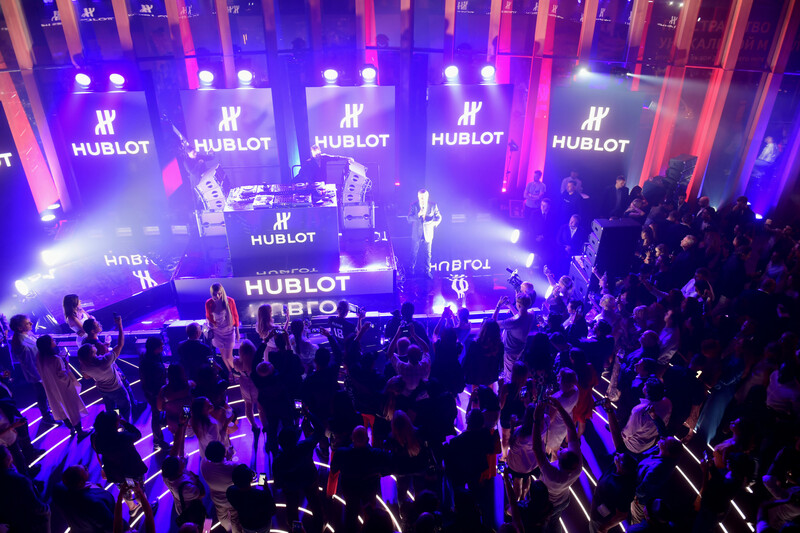 Analysis by Chrono24, the world’s biggest trading platform for pre-owned watches, monitored significant spikes in searches for Hublot every time the signal board appeared on television. “The numbers don’t lie. 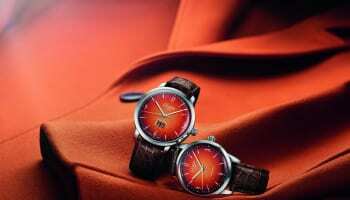 Every time a player is substituted, the world can see the official’s substitution board and Hublot’s page views rise immediately and significantly,” a statement from Chrono24 reveals. Chrono24, thanks to its scale, digital marketing and technical sophistication of its platform, appears high up on searches when people Google for Hublot and other watch brands sold via its marketplace. It is therefore an accurate barometer of the spike in searches for Hublot every time the fourth official’s board appears. 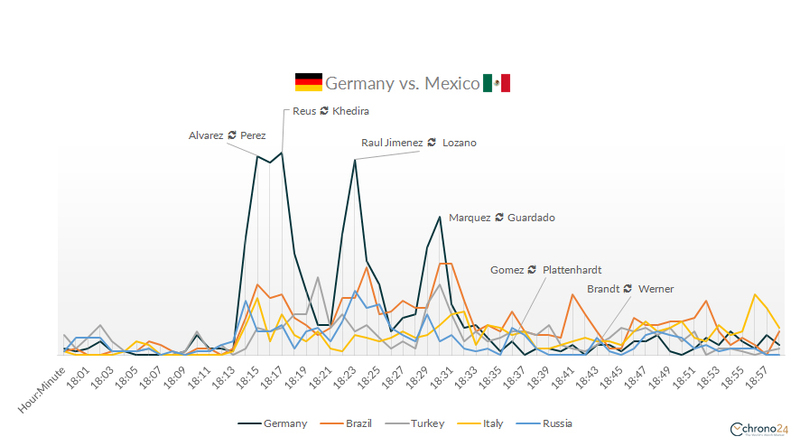 The graph of Germany’s match against Mexico illustrates the effect perfectly. The number of page views for Hublot watches on Chrono24 is fairly consistent during the match, but increases more than five-fold as early substitutions are made. The effect is less dramatic as the match progresses. The effect for Hublot at halftime was even more dramatic in the Germany versus Sweden game, with page views spiking immediately as the referee’s board was raised. Chrono24 also crunched the numbers on where the visits were coming from. Not surprisingly during the Germany Mexico match, the greatest effect came from Germany.